« Emantic Fitzgerald “EJ” Bradford, Jr. –– May he Rest In Peace. 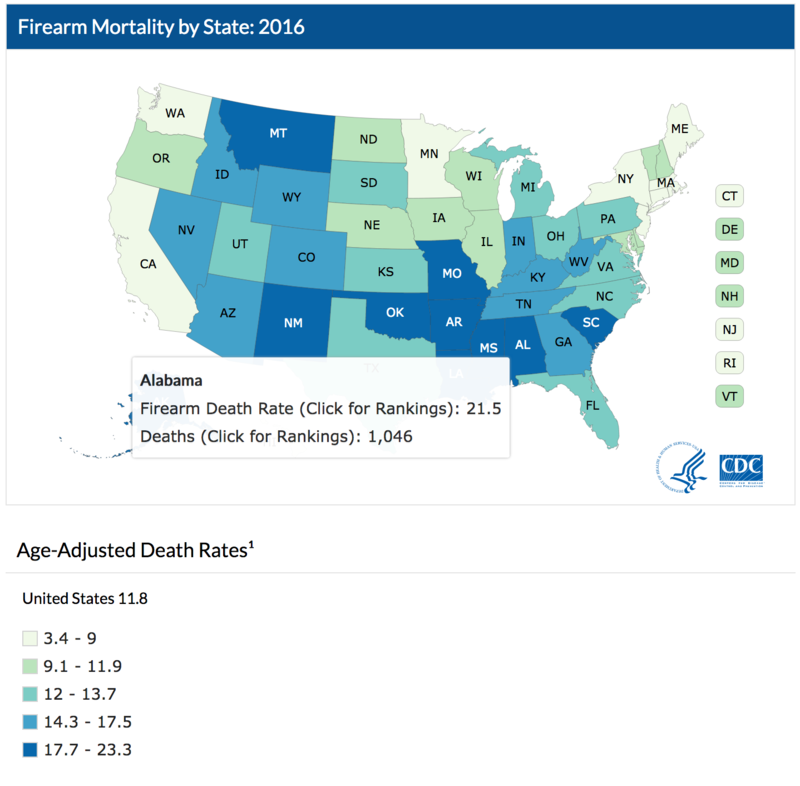 According to the Centers for Disease Control and Prevention (the expert folks who study health & healthcare), Alabama is ranked 2nd nationally in per capita Firearm-related deaths. In fact, here are the top 20 states in which to die by gun, in per capita (per 100,000) ranking. See if you notice anything. It’s just more Fake News. This entry was posted on Sunday, November 25, 2018 at 8:19 PM	and is filed under - Do you feel like we do, Dr. Who?, - My Hometown is the sweetest place I know, - Politics... that "dirty" little "game" that first begins in the home., - Read 'em and weep: The Daily News, End Of The Road, WTF. Tagged: AL, Alabama, CDC, death, Firearm, Gun, killing, violence. You can follow any responses to this entry through the RSS 2.0 feed. You can leave a response, or trackback from your own site.